MAHARASHTRA, Mumbai: Shiv Sena and BJP, the two partners in Maharashtra, fought the election separately against each other. Uddhav Thackeray party Shiv Sena registered a comfortable victory grabbing 52 seats. The BJP has won 42 seats whereas Raj Thackeray’s MNS managed to win 9 seats and Congress-NCP combine came first on 6 seats and AIMIM bagged 4 seats in the 122 members civic body. 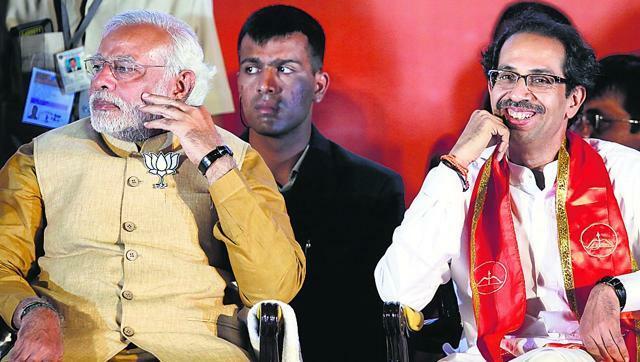 The last leg of campaigning for these elections involved a bitter fight between the ruling alliance partners in Maharashtra with verbal blows being exchanged between Chief Minister Devendra Fadnavis and Shiv Sena’s Uddhav Thackeray. Relations between the Sena and the BJP have deteriorated rapidly ever since the Ghulam Ali concert was cancelled under pressure from Sena activists and then ink was smeared by Sena activists on former Vajpayee aide Sudheendra Kulkarni.